I saw this show of chef Zakir on Sunday evening and I tried this recipe for garlic chicken with vegetables last night, it was out of this world. We are not going to use any corn flour or water in this. 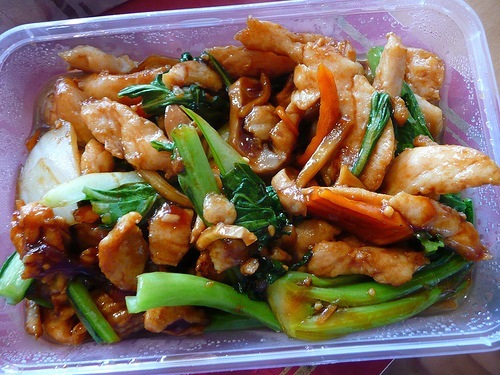 It contains all the original flavors’ of vegetables and chicken. You all must try this. It hardly takes 10 minutes to cook it. Heat oil in a pan, add garlic and stir fry it when it changes its color to light brown then add all vegetables. Now put chicken over vegetables, don’t mix it on this stage. Add all sauces and spices in it. If you like a spicy food then you can add red chili, its optional. Now cook it for 4-5 minutes. Mix it all well. Serve it with garlic or boiled rice. Chef Zakir served it with Korean tomato rice. You can also serve it with boiled noodles. this is the second time i have been to ur website. believe me when i say that……its awoseme. simple, direct! i wanted to ask if there is any substitute for Worcester sauce , as i m having a hard time to find it! Thanx raheela for such a nice comments. you can use soya sauce instead of Worchester sauce. Worchester sauce is easily available in every store. Which city are you from?